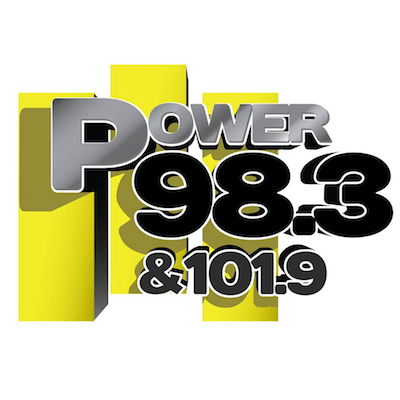 Riviera Broadcasting Rhythmic CHR “Power 98.3” KKFR Mayer/Phoenix AZ launched 101.9 K270BZ Phoenix to serve the eastern side of the market this morning. Now branding the station as “Power 98.3 & 101.9“, the station is launching the new signal with a free concert on Monday that requires listeners to share the station’s new logo on social media to get in. Original Report 11/30: Riviera Broadcasting Rhythmic CHR “Power 98.3” KKFR Mayer/Phoenix AZ will add a second signal to cover the eastern side of the market. 101.9 K270BZ Phoenix will bring KKFR’s programming to Chandler, Mesa, Tempe and southern parts of Scottsdale via 103.9 KEXX-HD3. The translator will operate with a directional 250 watts at 426 meters from South Mountain (Coverage Map). KKFR is already the most successful of the rash of rimshot move-in’s that came into the Phoenix market in the last two decades. It inherited the Power brand and format from what is now Bonneville News/Talk 92.3 KTAR-FM Glendale in 2006. The station placed thirteenth in the market with a 3.0 share in the November 2015 Nielsen Audio PPM ratings. Rivera registered Power9831019.com, Power9831019FM.com, PowerFMPhoenix.com, and PowerFMPHX.com for the station last week and is promoting a “Top Secret Announcement” for Monday, December 7 at 7:00am.